From your project page, go to Risk Management tab and click Create on the SWMS tile. From your navigation bar, go to Risk Management > SWMS > New SWMS> SWMS Form. 2. Click Inducted Workers then click Show More Workers. 3. Click the Add Worker button. 4. A pop-up window will appear, where you can add a worker. 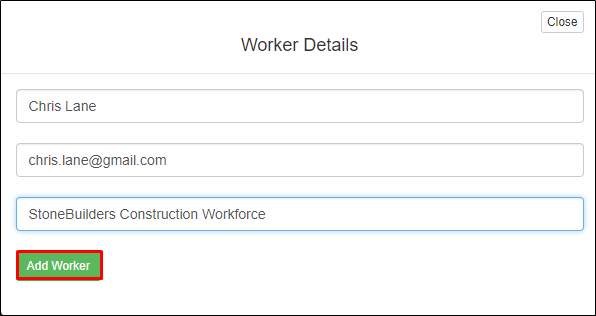 Fill out the details of the worker. 5. Click Add Worker to save changes. 6. 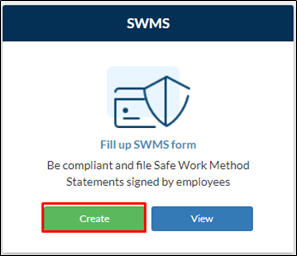 The worker will automatically be selected in the SWMS Form once added.